The land of Stars and Cars. After spending a week with our boys in LA and San Diego, Heather and I are well-versed in expensive cars. I haven't seen so many "G" wagons in all my life. The boys were on top of the world seeing ridiculously expensive cars every time they turned their heads. Heather designed the perfect itinerary for us. I want to share it with you. Even if you aren't going to LA or San Diego soon, save it for later. We took our own travel advice - carry on luggage only! Right from the get-go we took our own advice - we found less expensive airline tickets by using a major city, ATL. We had a non-stop flight from Atlanta to Los Angeles. 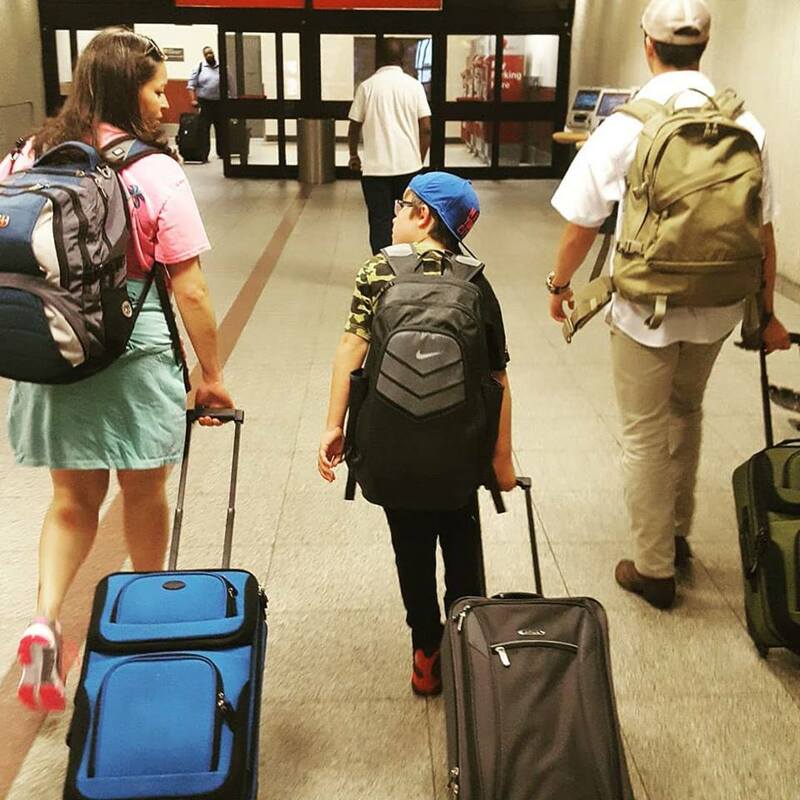 The other thing we did right was pack light, only carry-on luggage. After a 5 hour flight we arrived and headed to a hotel in the heart of Hollywood, right off I-101. 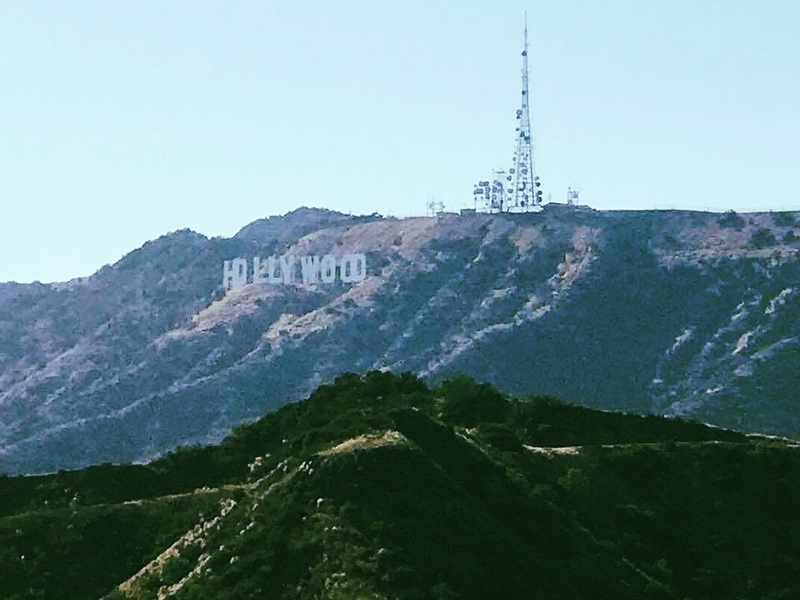 We pre-purchased the Hollywood Explorer Pass which included 4 top attractions so we hit the ground running. We are going to make the most of our 3 days in LA. Our first morning in LA, we drove less than 5 minutes to a conveniently located parking lot off Hollywood Blvd. We used Spot Hero app to find this inexpensive lot. Our first adventure was the Redline Tours Hollywood Behind the Scenes tour using the Hollywood Explorer Pass. On this tour you walk through Hollywood for about 1 hour and half. We thought it was a great way to get oriented to the area. We saw the Dolby Theatre, the home of the Oscars, the Grauman Chinese Theatre,and Grauman's first theater in LA, the Egyptian Theatre, as well as, other sites along Hollywood Blvd. After the tour, we ate lunch in the Hard Rock Cafe right next to the Dolby Theater and in the same location as the Redline Tour. 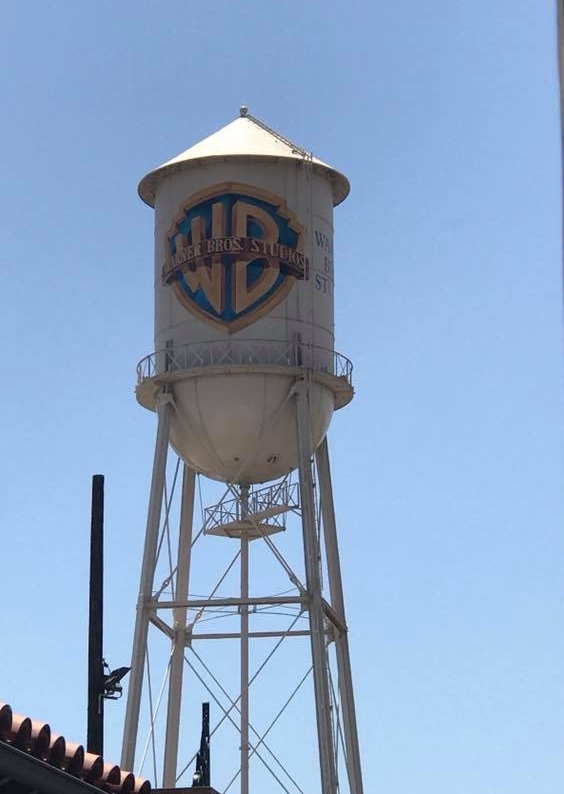 Next we headed out to Burbank (about a 15 minute drive) to the Warner Brothers Studio Tour, 3 hours in duration. It goes by very fast. Our boys, 10 and 15 years old, enjoyed the behind the scenes look at movie making and tv shows. Honestly, Heather and I had a great time too. Heather and both boys participated in a re-creation of a Friends' scene. We laughed at ourselves so much on this tour. Fun time! Headed back towards hotel, but took a detour to the Griffith Observatory in Hollywood Hills. Great views of the LA from the terraces. After taking in these great views and learning a little about astronomy, we headed back to hotel then walked to Jane Q restaurant for dinner. We started out our day by seeing world records in the Hollywood Guinness Museum, part of the Hollywood Explorer Pass. There are some crazy records broken. Next we hopped back in time in Mel's Drive-in and ate some great diner food and drank delicious ice cream floats for dessert. After stuffing ourselves we rolled into an open-top van for a celebrity homes tour with StarLine Tours. The boys were more interested the expensive cars that passed us than the homes. They both said the tour went by too quickly. We all had a great time on this 2 hour tour. I think seeing our boys' excitement as they saw fancy cars made it wonderful. Finally, we saw some celebrities. They didn't mind us having our picture made with them at all. Oh, the fact that they were wax figures helped. But, they looked so real. It was a little freaky walking through the Madam Tussaud's Wax Museum. 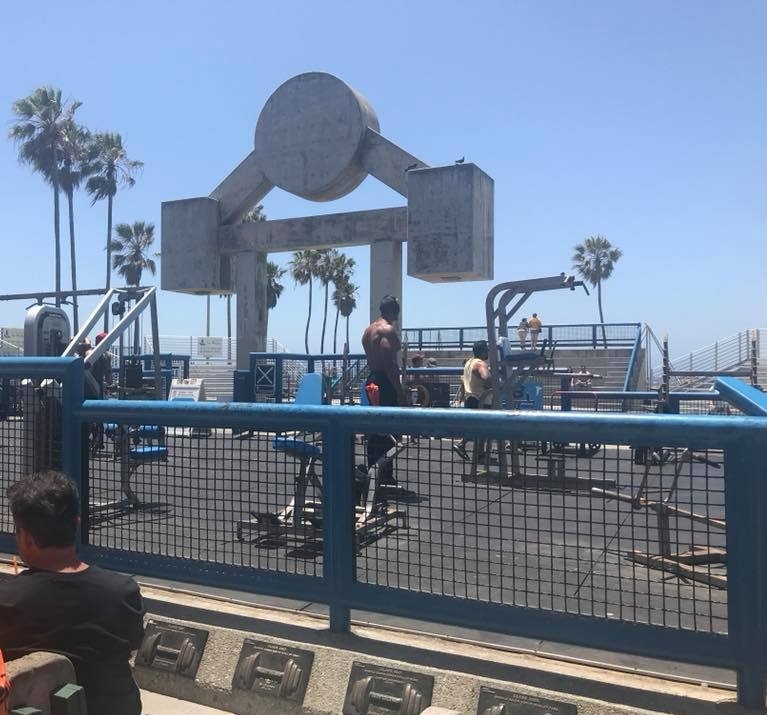 We drove down to Venice Beach for the morning and lunch. People everywhere, some were worshiping the sun and others were worshiping their bodies. We head north on the Pacific Coast Highway to Santa Monica Pier, but it was too crowded for us. We kept going! Next stop on the PCH was Malibu Beach, more specifically, Point Dume State Park. Here you can walk to the top of cliffs that tower above the beachcombers below. Or sit on the beach and watch seals swim in the ocean. We drove down into Malibu to Duke's for a delicious dinner with a Hawaiian flavor. Goodbye to LA and hello to high temperatures! We drove for about 2 hours east to the Coachella Valley, home of Palm Springs. We linked up with a tour operator who took us in a open'-top hummer into an isolated part of Joshua Tree National Park. My recommendation is only do this tour in the Fall or Spring time. It is just to hot to do it later than when we did it in early June. We ate lunch at LuLu in Palm Springs then headed back southwest to San Diego for the final couple of days of our vacation. We stayed in a hotel on Shelter Island which is across the bay from downtown San Diego. Our first full day, we went straight to the #1 tourist sight in San Diego, the San Diego Zoo. The whole family enjoyed seeing the animals, especially the pandas and polar bears. Our youngest loved the Reptile House - Snakes and more snakes. You can easily spend the whole day here. "I FEEL THE NEED FOR SPEED!" Today, our last day on vacation we toured the USS Midway Museum. This museum is very interactive and educational. We picked up the audio tour handset (we brought our headphones to plug into device) and listened to stories from men who served on the USS Midway. Also, docents throughout the ship provide great information and stories. Take your time walking through all 3 decks of the museum. Afterwards, we boarded the Patriot Jet Boat Thrill Ride for a wet and fun run across the San Diego Bay. It was a blast, but you will get soaked. While still wet why not go to a beach. We took off for La Jolla beach northwest of San Diego. A few yards away from these rocks is a public beach that stays open 24/7. 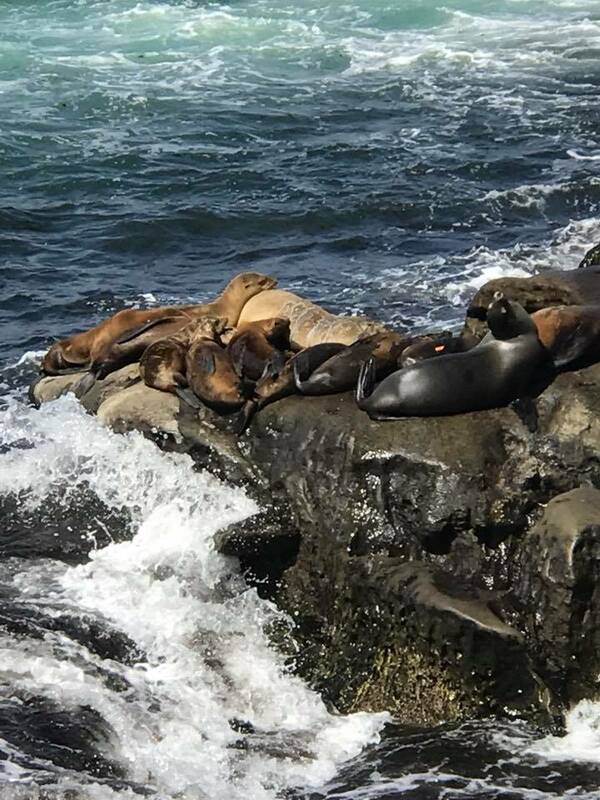 You can expect for seals and sea lions to swim near you if you get in the water. Plenty of people - several distance swimmers with wet suits on and snorkelers. Then we headed south to beautiful Point Loma. We drove along the road on top of the cliffs. It was gorgeous!! Next stop, hotel to jump into the pool then pack to go back home the next morning. This itinerary is a sample of what we can do for you. I'm sure that your family will love a vacation like this one. All Love Travel LLC can make that happen for you.